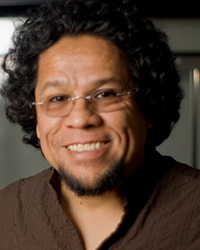 Dr. Carlos Bolaños-Guzman is an Associate Professor in the Department of Psychology at Texas A&M University. His research aims at establishing causal relationships between early-life experiences, brain, biochemistry, and behavior. Specifically, his research interest center on investigating how exposure to psychotropic drugs (e.g. stimulants, antidepressants, prescription drugs), and stress (whether physical or emotional), alter the biochemical integrity of neuronal pathways involved in the regulation of mood and motivated behaviors, and how these pharmacological, environmental, and/or genetic manipulations early-in-life affect biochemical and behavioral functioning later in adulthood. Understanding the relationship(s) between brain and behavior from a developmental perspective can provide novel insights for the development of therapeutics for stress and drug dependence. Dr. Bolaños’ work is funded by the National Institute on Drug Addiction (NIDA). McHenry, J. A., Robison, C. L., Bell, G. A., Vialou, V. V., Bolaños-Guzmán, C. A., Nestler, E. J., & Hull, E. M. (2016). The role of ΔfosB in the medial preoptic area: Differential effects of mating and cocaine history. Behavioral Neuroscience, 130(5), 469. Bolaños-Guzmán, C. A., & Zarate Jr, C. A. (2016). Underrepresented Minorities in Science: ACNP Strives to Increase Minority Representation and Inclusion. Neuropsychopharmacology, 41(10), 2421-2423. Alcantara, L. F., Warren, B. L., Parise, E. M., Iñiguez, S. D., & Bolaños-Guzmán, C. A. (2014). Effects of psychotropic drugs on second messenger signaling and preference for nicotine in juvenile male mice.Psychopharmacology, 231(8), 1479-1492.